Does the Yogi Fasting Tea Help with Weight Loss? National Public Radio reports that as of 2010, 72 million adults are considered obese within the United States and more than 60 percent of Americans are either overweight or obese. Being overweight and obese may not only be aesthetically unappealing to some, but carrying extra body fat leads to serious health consequences, some of which are life threatening. Because of this, many turn to natural supplements to assist in shedding pounds. 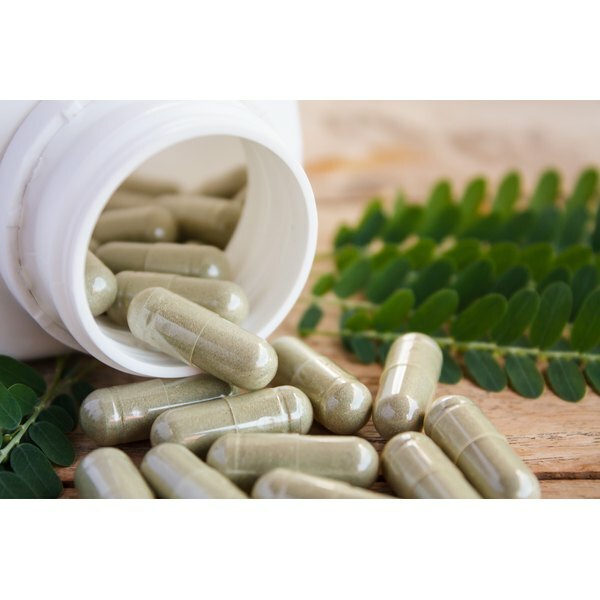 Green tea pills are among the most popular of these supplements, and while a plethora of manufacturers release green tea products, not all are effective or safe. Six polyphenols, which are known as catechins, compose green tea. These include gallaogatechin, epigallocatechin, epicatechin gallate, catechin, apigallocatechin gallate and epicatechin. Apigallocatechin gallate, also known as ECGC, is the most studied and potentially the most effective out of these compounds. The University of Maryland Medical Center reports these catechin compounds contain a higher concentration of antioxidants than vitamin C. Other active constituents within green tea include alkaloids, which are known to provide this herb with its stimulating effects. The University of Maryland Medical Center reports several clinical studies suggest the internal consumption of green tea may help increase a person’s metabolism. This metabolic increase assists the body in accessing stored fat cells for energy, which results in weight loss. It is believed the six catechins within this herb are responsible for the weight loss effect of green tea. The use of green tea may help decrease appetite, which prevents users from overeating, according to a report in the August 2013 issue of "BioMed Research International." While initial studies are promising for weight loss, further studies are required to determine this herbs true effectiveness. Green tea pills are comprised of green tea extract, which are dried tea leaves broken down into a powder. The best green tea pill is one that utilizes a standardized green tea extract, and contains a high concentration of catechins. The University of Maryland Medical Center suggests consuming 100 to 750 milligrams of green tea extract per day for beneficial use. A study outlined by The Linus Pauling Institute found men who consumed 690 milligrams of green tea catechins per day lost a significant amount of body weight. While green tea is considered safe for the general public, the National Center for Complementary and Alternative Medicine reports minor side effects may occur; especially in those sensitive to caffeine. These effects include upset stomach, irritability, diarrhea, anxiety and insomnia; however, green tea extracts without caffeine are available. As with any natural supplement, green tea does carry a risk of adverse drug interactions, thus speak with your physician before starting a green tea diet pill routine.